1. Why should I attend a PCTELA conference? Because your opportunities are endless! Not only does a PCTELA conference provide you with current, engaging ideas for your classroom (which many attendees begin using that same week), it also allows you to interact with colleagues going through the same triumphs and trials as you! You will enjoy listening to some of your favorite authors and professionals in the field give humorous, moving, and instructive insight into your everyday teaching practices. Regardless of what you're looking for -- fascinating guest speakers, an abundance of new ideas, professional development, connections to colleagues all across Pennsylvania, or simply a few days to regroup -- you will find it by attending a PCTELA conference this year. 2. I'm not an English/Language Arts instructor, but I'm interested in providing a literacy-rich education for my students within my discipline. Can I become a member of PCTELA? 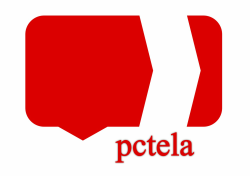 Yes, even if you are not an English/ LA instructor you are welcome to join PCTELA. Often sessions are cross disciplinary and will push your educational practice. We also welcome ALL levels of educators early childhood through graduate levels. 3. I am a preservice teacher, should I become a PCTELA member? We welcome preservice teachers. You will find heavily discounted ‘student rates’ for conferences. Conference registration includes your PCTELA membership for two years. Often such professional affiliations become attractive to prospective employers. Many of our state university professors encourage a group of students to attend PCTELA conferences.